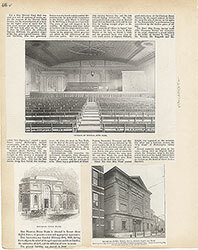 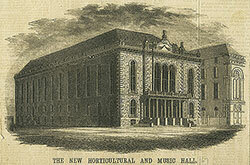 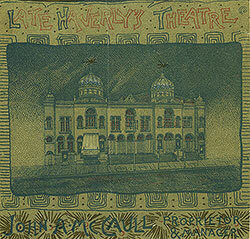 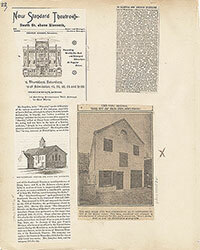 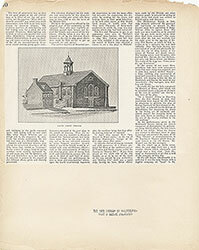 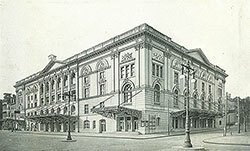 Halftone reproduction of the Musical Fund Hall. 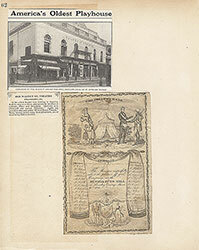 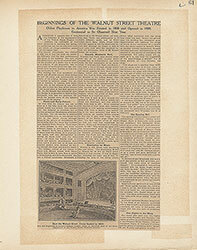 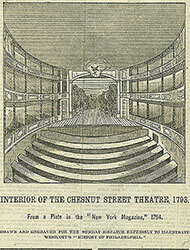 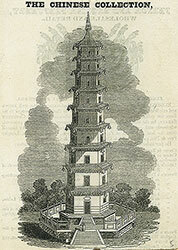 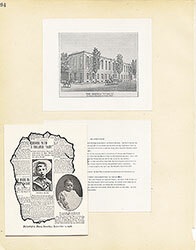 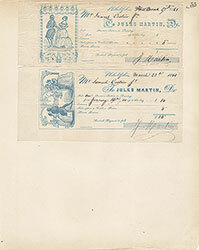 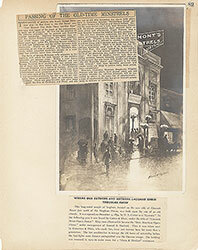 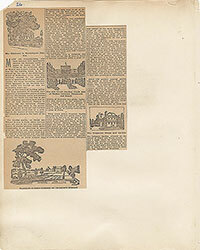 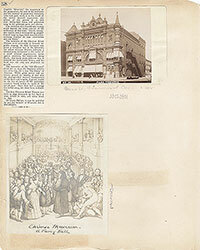 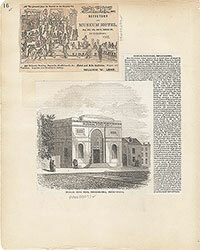 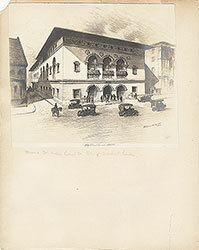 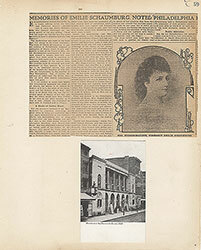 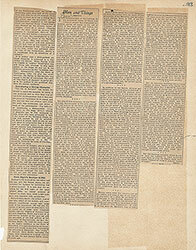 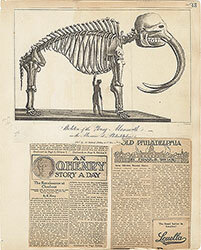 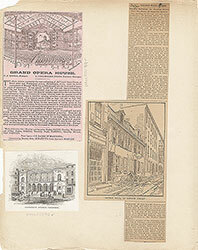 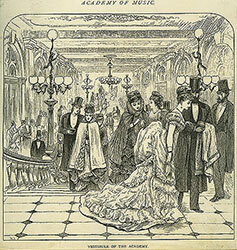 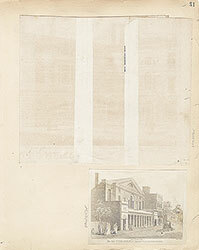 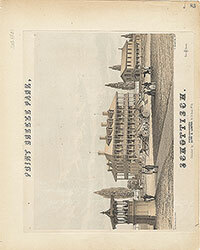 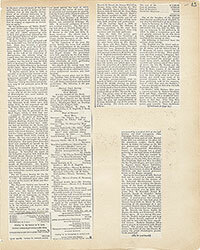 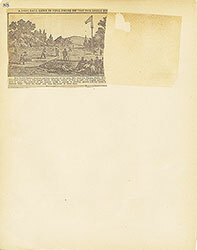 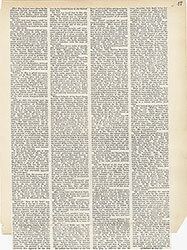 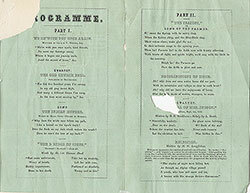 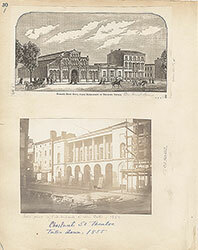 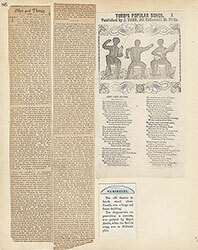 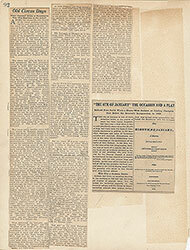 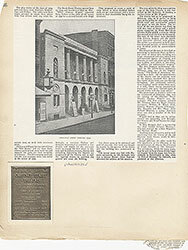 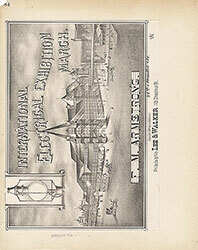 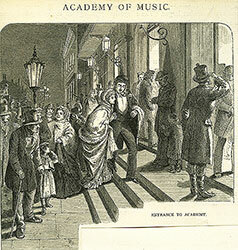 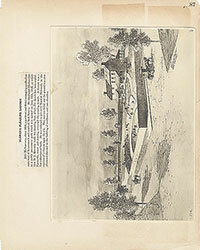 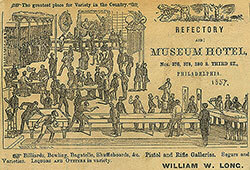 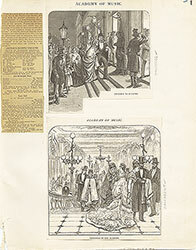 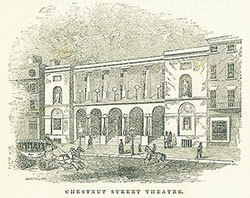 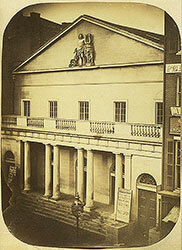 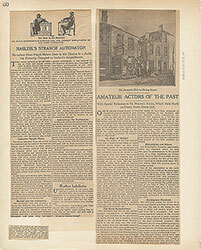 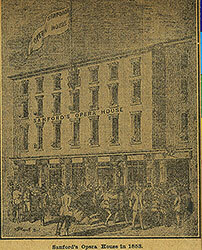 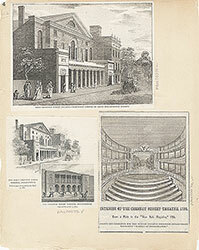 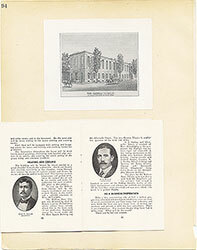 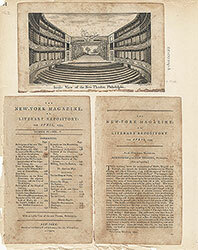 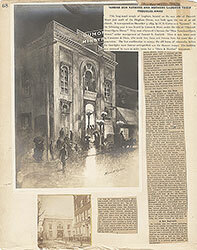 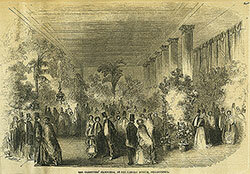 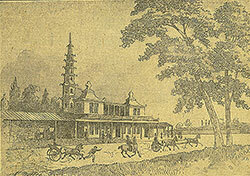 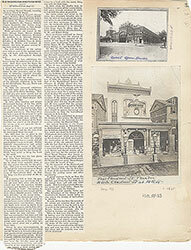 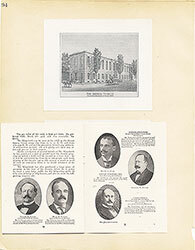 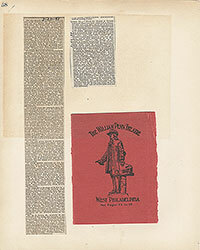 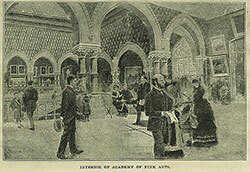 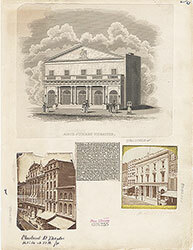 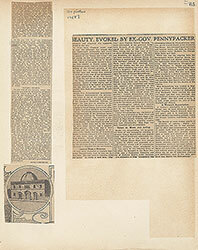 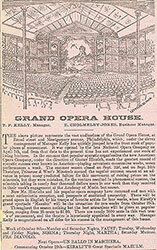 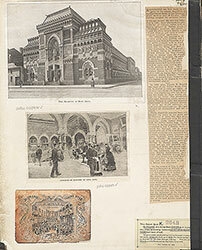 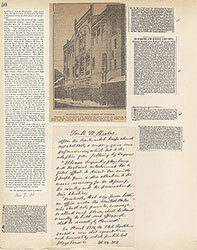 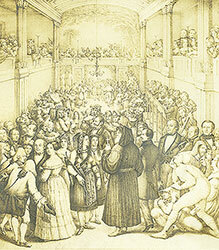 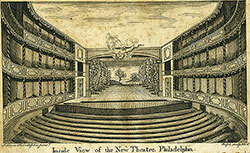 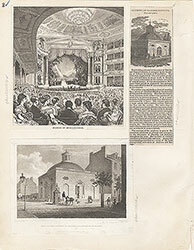 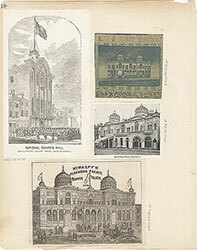 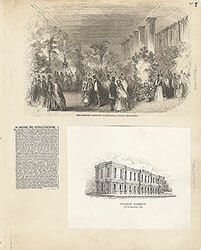 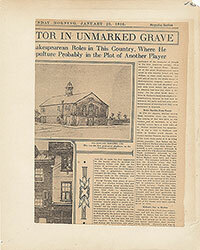 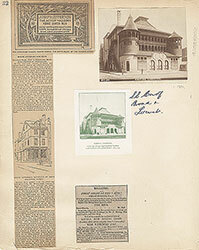 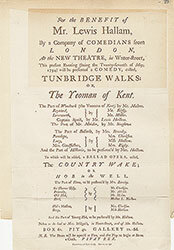 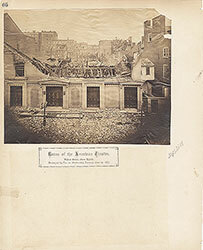 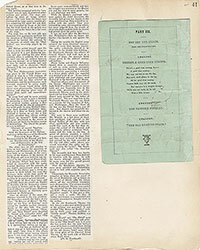 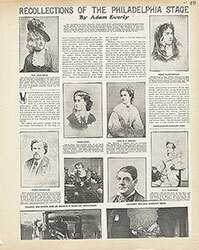 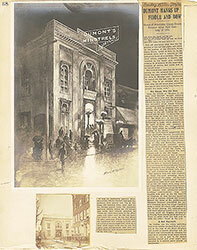 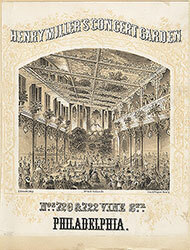 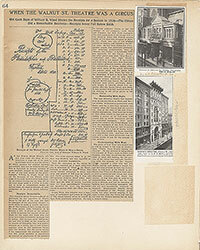 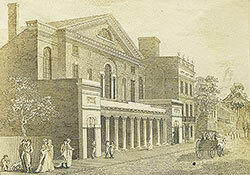 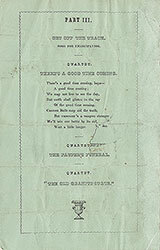 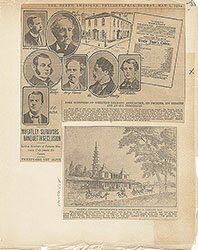 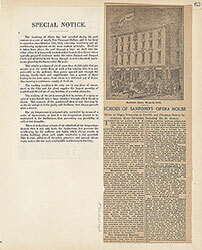 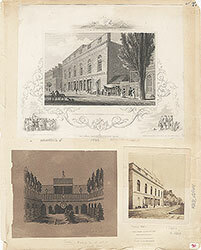 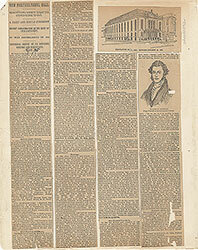 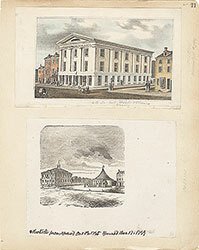 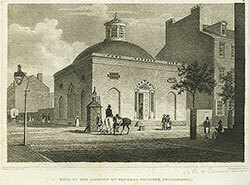 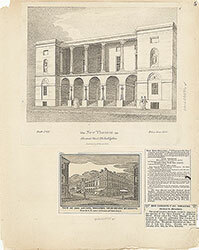 The caption below is as follows: "Maliban, Sonntag, Jenny Lind, Grisi, Ole Bull, Goldschmidt appeared here. 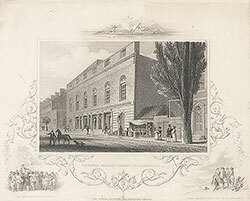 Lafayette received, 1824. 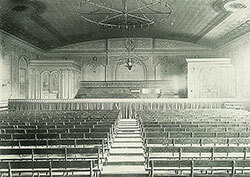 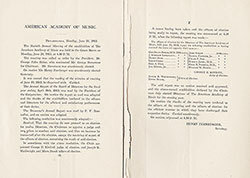 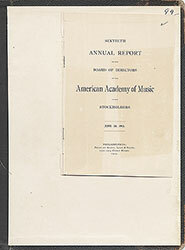 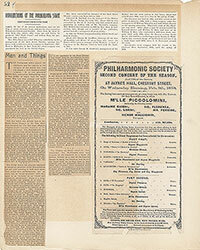 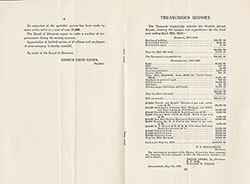 The acoustic properties of the hall are excellent." 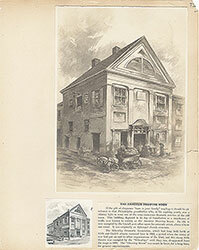 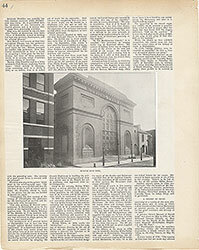 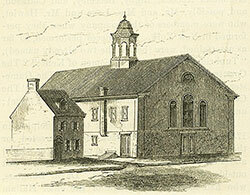 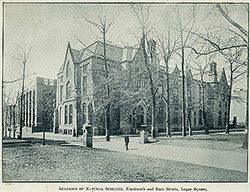 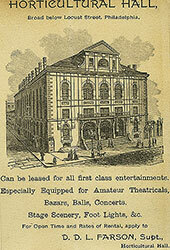 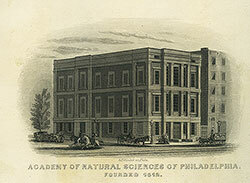 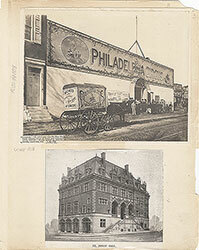 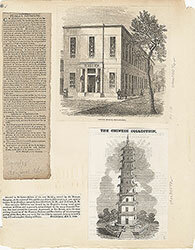 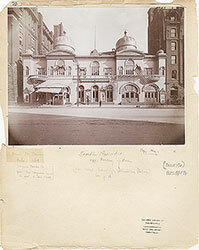 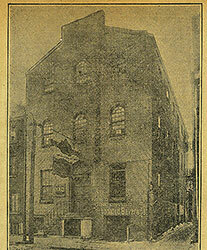 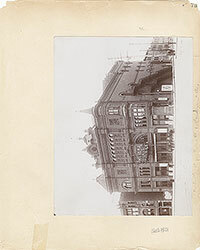 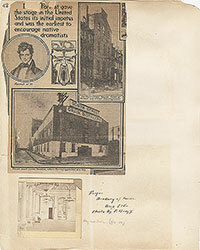 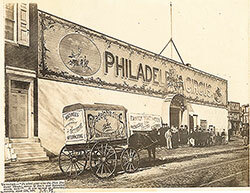 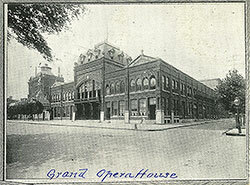 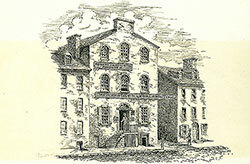 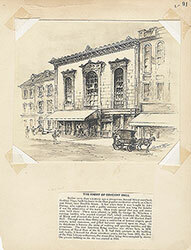 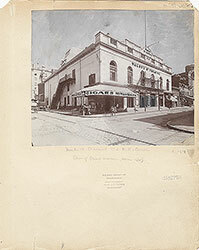 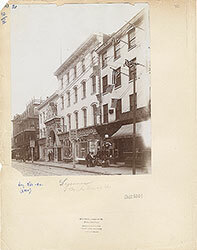 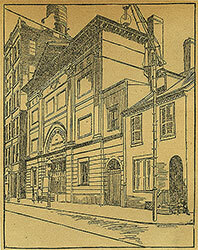 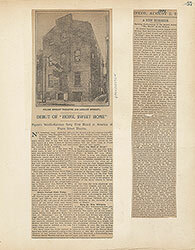 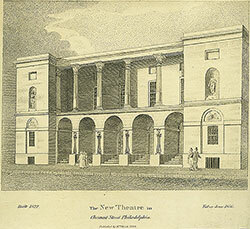 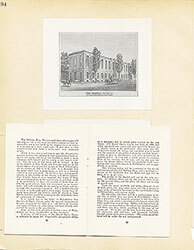 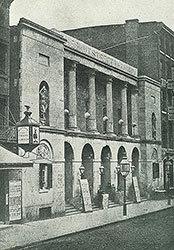 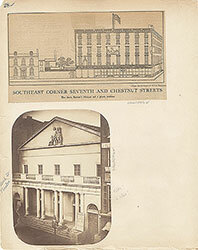 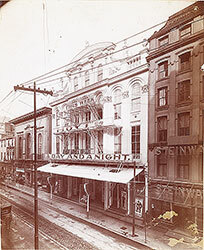 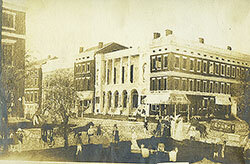 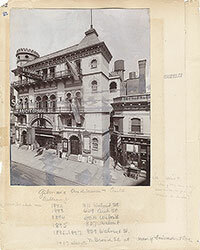 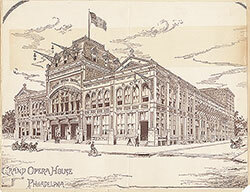 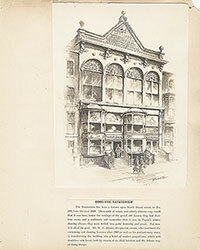 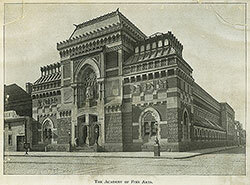 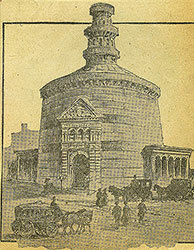 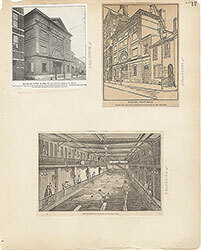 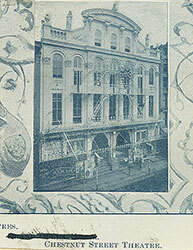 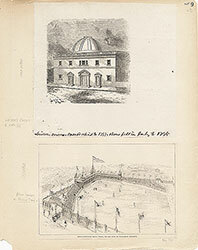 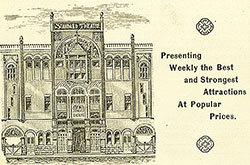 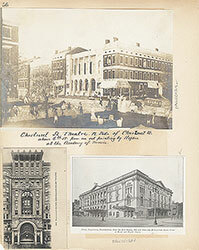 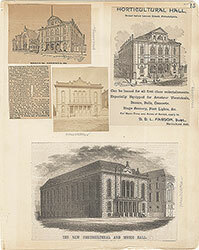 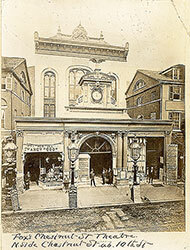 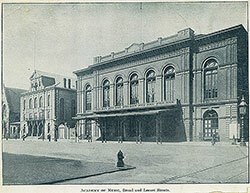 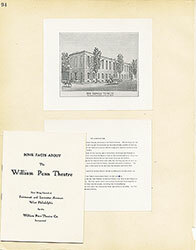 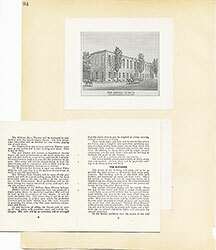 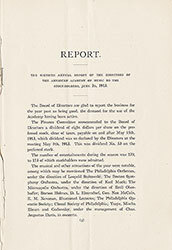 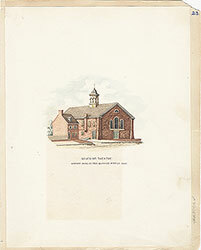 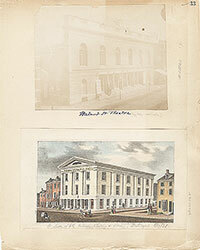 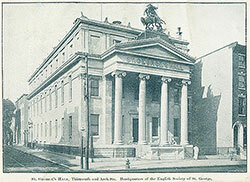 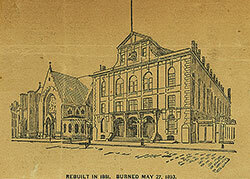 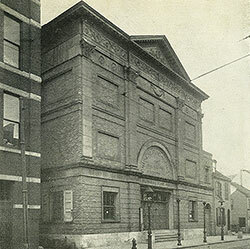 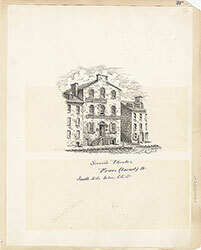 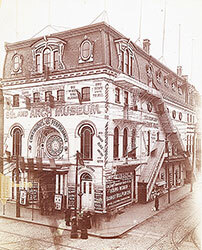 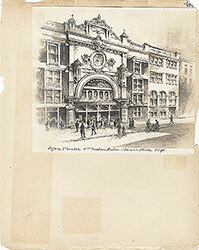 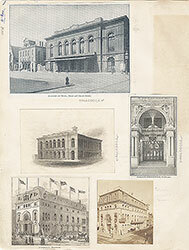 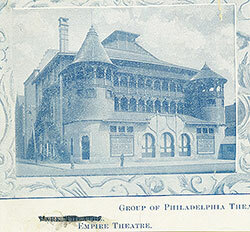 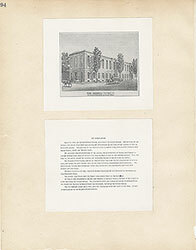 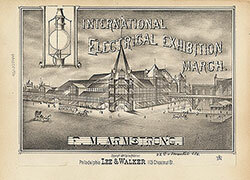 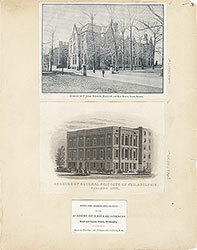 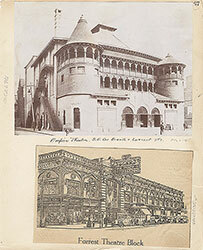 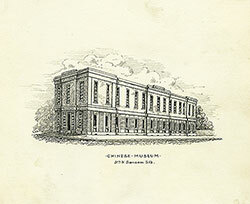 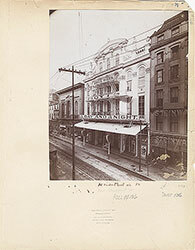 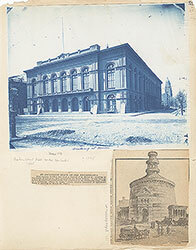 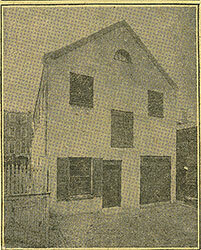 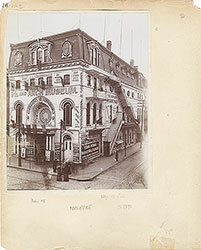 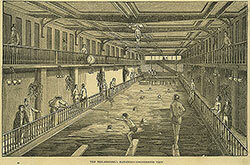 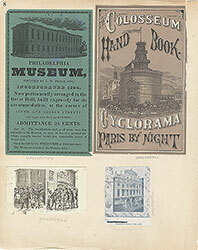 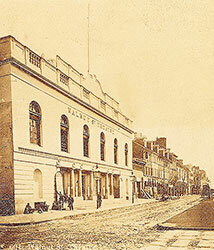 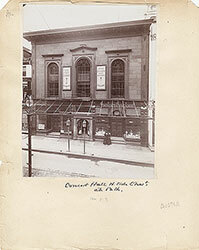 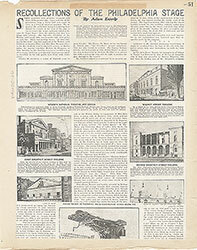 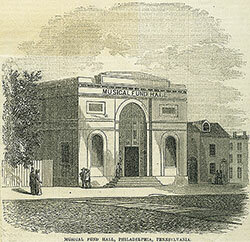 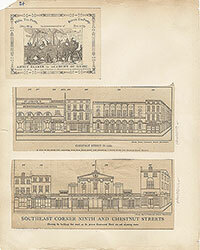 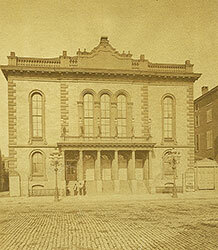 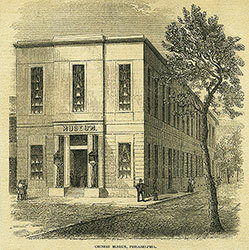 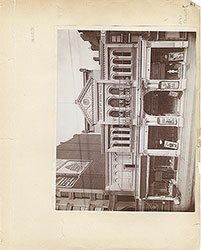 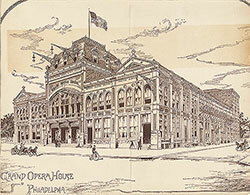 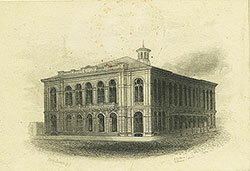 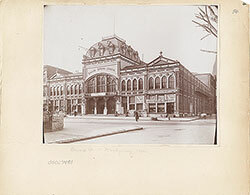 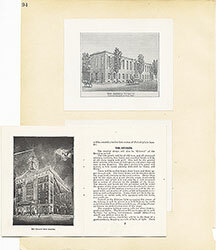 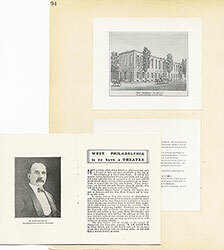 Opened in1869, the Natatorium and Physical Institute building was situated at 219 South Broad Street. 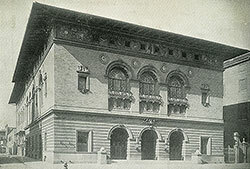 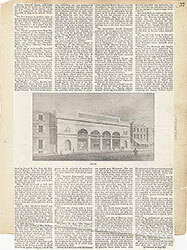 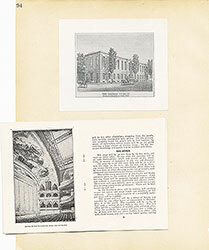 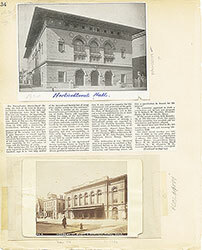 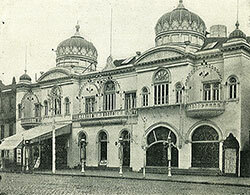 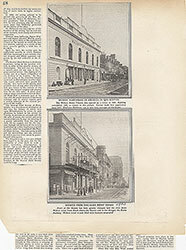 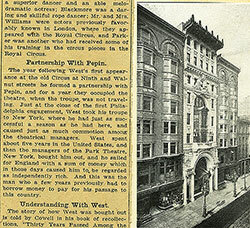 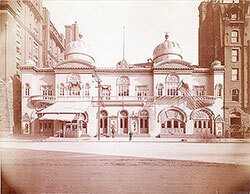 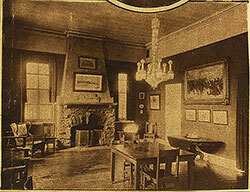 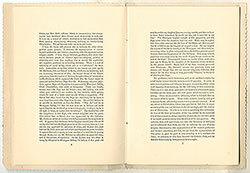 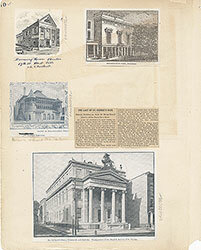 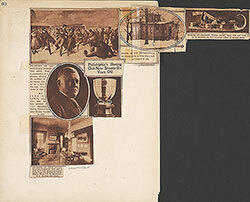 The Institute provided recreational facilities for wealthy clientele including a swimming pool and gymnasium on the first floor and a dance academy on the second floor.